Kevin Spacey is to play former British Prime Minister Winston Churchill in a new film. Captain Of The Gate will chronicle Churchill's rise to power during World War II and his battle to defend Britain and the world from Adolf Hitler's Third Reich. Spacey is currently starring as politician Frank Underwood in the hit US remake of BBC drama House of Cards. The Oscar-winning actor is now attached to star as Churchill in the biopic, according to The Hollywood Reporter. Ben Kaplan, who previously wrote a TV movie for the History Channel about the late President Ronald Reagan, penned the screenplay. He also has wrote episodes for the documentary series Vietnam in HD and WWII in HD. A director for the project is currently being sought. Churchill, who is widely regarded as one of the greatest wartime leaders of the 20th century, was Prime Minister from 1940-45 and again from 1951-55. 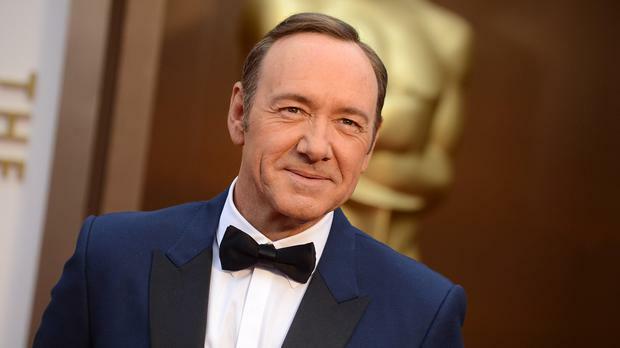 Spacey, 54, is due to step down from his position as artistic director of The Old Vic next year. He will celebrate his 10 years at the London theatre by starring in one-man show Clarence Darrow, a play about the pioneering lawyer of 19th century America of that name.